A Coffee table and end table I built. 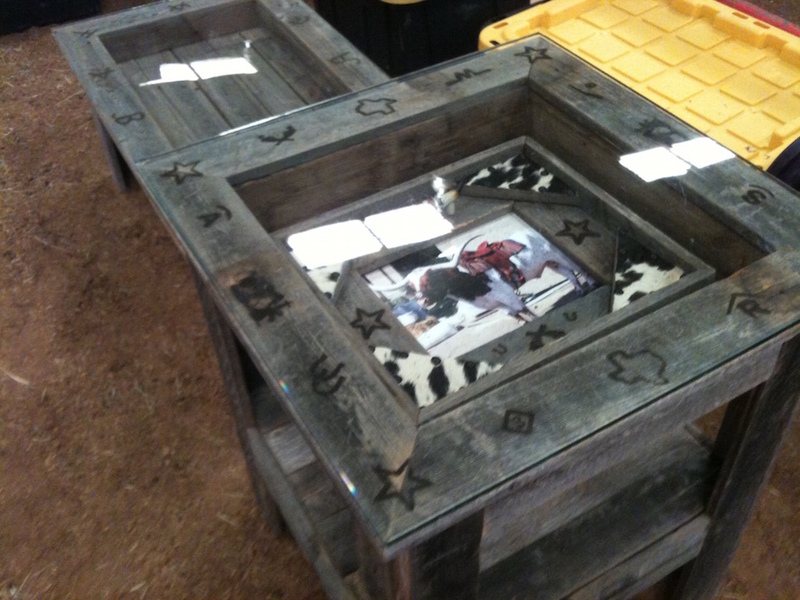 The tops were glass and had a place to display buckles of whatever your heart desired. Sell for $350 for the set. 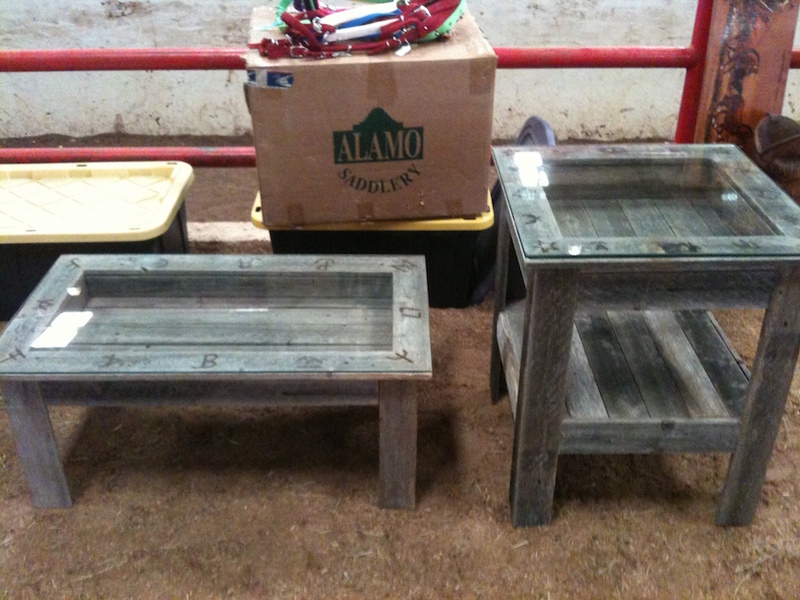 If you would like a set built for you contact tamet@ebarrelracing.com or call 817-373-2534.